Stories mostly centered on The Kingfish's schemes to get rich, often by duping his brothers in the Mystic Knights of the Sea Lodge. Andy was particularly dupable. Amos mostly narrated. Andy agrees to marry a woman until Amos introduces him to his new neighbor after which Andy tries to break off his relationship with his fiance. Jon's Favorite all time sitcoms and comedic shows. 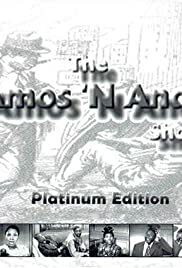 The history of the television version of "Amos and Andy" and the public outcry to cancel it. Live variety show with Jackie Gleason. Watch as Moe, Larry and Curly go through life the only way a stooge can, with laughs and a lot of mischief. Neighbor Blanche Morton frequently joined Gracie in escapades which annoy hubby Harry and provides George with an opportunity to offer a humorous soliloquy. George 'Kingfish' Stevens: [accepting an award from his lodge brothers] Thank you, brothers; and, in the words of that great American poet Ralph Walnut Emerson, you all has my infernal gratitude. I don`t remember the radio program, but, the T.V. show was great. They could not have put together a better or more talented group of people. Amos and Andy, and a lot of other shows from back then need to be on television now. Those would be reruns even I would sit down to watch. As far as it depicting ignorance, or the people being uneducated, just about all the shows were made on the same level from that time period. There was true comedy on T.V. back then. Look what happened in later years on television. Mr. Ed was smarter than Wilbur ever hoped to be, but, it made a good show.